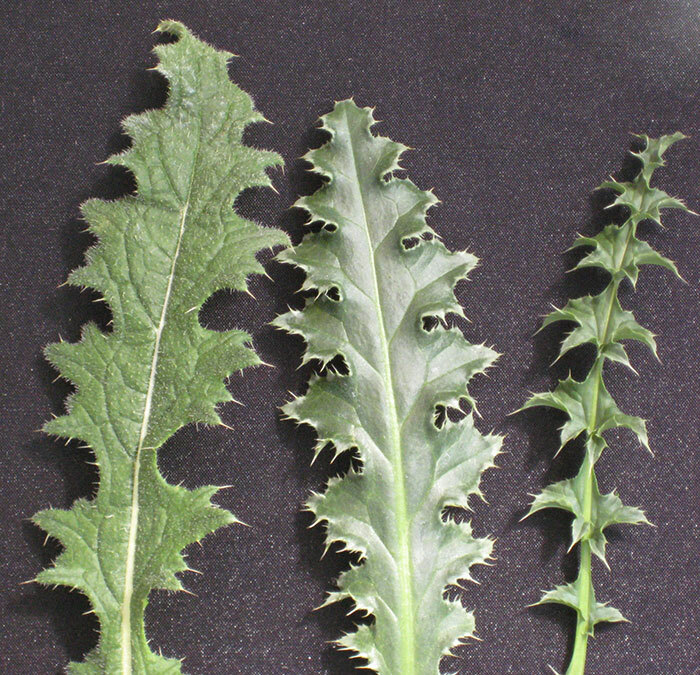 Many farmers and ranchers know a thistle when they see one, but identifying the exact species is also an important step toward successful control. While the perennial Canada thistle will overtake a pasture if left unabated, three very common biennial species also can be found populating grazing areas and fencerows. “Recall that biennial plants germinate and grow leaves only in the first year and then after overwintering produce a stem and flowers. Once flowering is complete, the plant dies,” says Mark Renz, University of Wisconsin-Madison’s extension weed specialist. “It is important to distinguish these thistles from Canada thistle, which has plant parts that can last more than two years and result in dense patches that persist and spread,” he adds. The key to stopping the spread of biennial thistles is to prevent seed production. This can be done mechanically or with herbicides. While easily mistaken for each other, common biennial species usually have unique features that make classification easier. 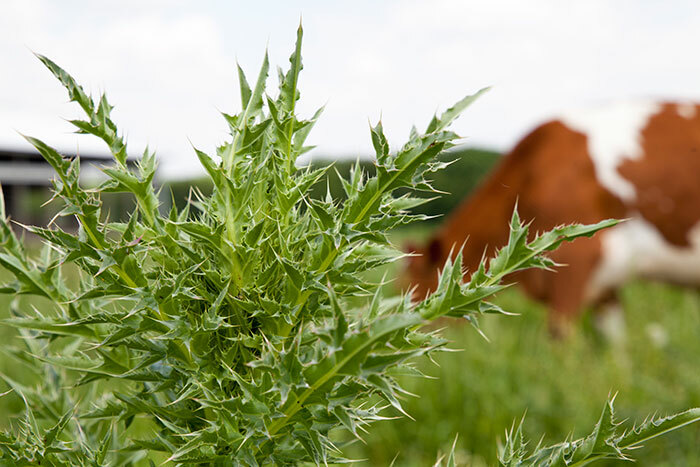 Renz highlights characteristics of the bull, musk, and plumeless thistles in a recent Wisconsin Crop Manager newsletter. • Leaves — 3 to 6 inches long and deeply lobed with a sharp 1/2-inch spine on each tip. Leaves are wrinkled with coarse hairs on top with soft white hairs on the underside. • Stems — spiny and winged in appearance, stems are typically 2 to 3 feet tall but can grow upward of 5 feet. • Flowers — 1 to 2 inches wide, tear/gumball shaped, purple, and bloom two to three weeks later than other thistles. • Leaves — moderately lobed with a spine at the tip of each. Leaves are waxy with no hair and can be 4 to 12 inches long. • Stems — not spiny directly below flower head, stems are typically 3 to 5 feet tall but can be over 6 feet. • Flowers — 1 to 3 inches wide, purple, large, and often nodding with distinct stiff bracts. • Leaves — heavily lobed, 4 to 8 inches long, and hairy on underside with long hairs present on midrib. • Stems — spiny, covered in leaves, and usually 2 to 3 feet tall with the ability to exceed 5 feet. • Flowers — smaller (3/4 to 1-1/2 inches wide), usually purple but can be white, and small bracts form below petals. For control options of biennial thistles, see the University of Wisconsin bulletin Biennial Thistles. Lauren Peterson is serving as the 2017 Hay & Forage Grower summer editorial intern. She is from Wyanet, Ill., and currently attends Kansas State University where she is pursuing a degree in agricultural communications and journalism. While at school, Lauren works at the KSU dairy farm and is an active member of the Horseman’s Association.